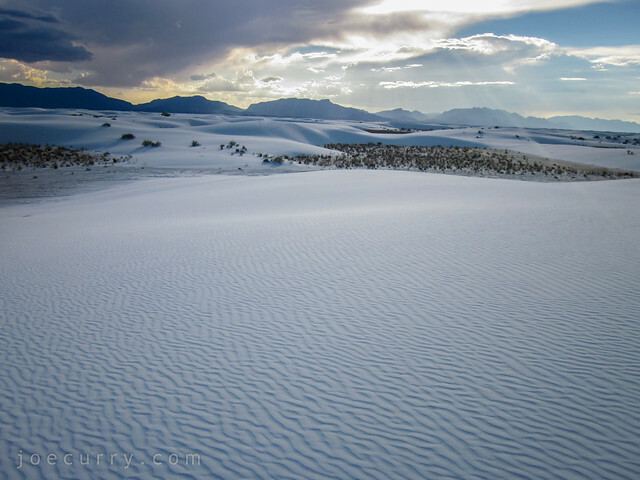 The glistening White Sands National Monument of New Mexico engulfs 275 square miles of desert creating the world’s largest gypsum dunefield. The active dunefield moves from west to east as much as thirty feet per year. The wind moves small sand grains by bouncing them along the surface in a process called “saltation.” Saltating sand grains create a beautiful pattern of ripples on the dune surface. From Wikipedia: Gypsum is rarely found in the form of sand because it is water-soluble. Normally, rain would dissolve the gypsum and carry it to the sea. 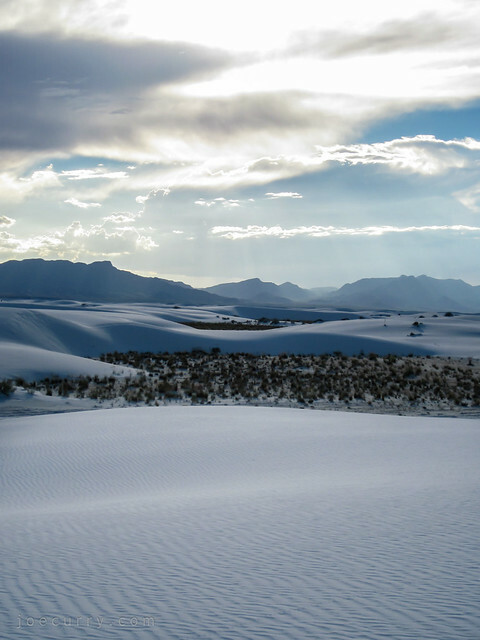 The Tularosa Basin is enclosed and water either sinks into the ground or forms shallow pools which subsequently dry out and leave gypsum in a crystalline form, called selenite, on the surface. 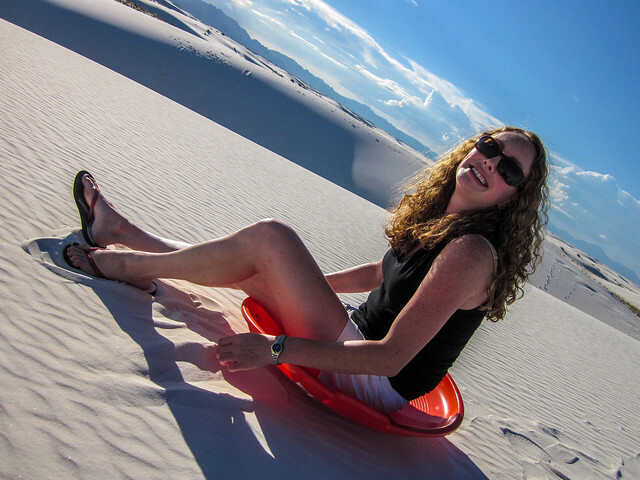 It was the first time my friend Steph and I had gone sledding in the desert! And what inspired today’s post, you ask? I was thinking about this August 2010 vacation and my impending move, and like sands through the hourglass, so are the Days of Our Lives. This entry was posted in Nature, People, Travel by Joe Curry. Bookmark the permalink.